I’m delighted to welcome so many of you to the first AGM of the Animal Health and Welfare Board for England and introduce our first Annual Report. Border controls, disease surveillance and enforcement all contribute to the health and safety of our animals and seek to protect us from serious exotic disease outbreak. To promote good health and welfare for all kept animals. Whilst we’ve been working to these objectives for as long as any of us can remember, what’s different now is how government and sector interests are working to deliver them. So, for example, we’re looking much more closely at the respective roles and responsibilities of animal keepers and government; how costs are apportioned and the scope for innovative alternative approaches for tacking problems. This has all been encapsulated in what we call our ‘Guiding Principles’ (discussed and agreed with many of you in the room today) which are annexed to the Annual Report we’re presenting today. The Board itself seeks to help focus energies on tackling the challenges I’ve just outlined, but also to help catalyse innovative solutions for how we tackle them. You’re all aware that the Board represents a very different way of working. We are indeed the first experiment in open government. To that extent this is revolutionary and has allowed external challenge, become a part of the policy making agenda within Defra. The mix of executive and non-executive membership allows the Board to bring together a blend of experience in creating policy advice to Ministers. Our role was proposed in the Radcliffe Report and foresaw the Board offering both advice to Ministers and a means of communication internally and externally. As we progressed through our first year, the work of the Board has evolved, with us more closely engaging teams within Defra at the outset of policy discussions, defining desirable outcomes, taking an active interest in the development of policy through regular updates and work in progress reports, finally we have also engaged in a comprehensive exercise of investigations into finance and the drivers behind current policy. I must pay a tribute here to the Defra teams who have accepted the change and the challenge we bring and have worked with us to develop a constructive working partnership alongside the non-executive members of the Board who have been extremely active through their portfolios and our sub groups both within the Department and engaging stakeholders beyond. Our primary objective at all times is to ensure Ministers have the assurance that options have been constructively challenged and robustly scrutinised by officials and industry interests alike, before they are invited to make decisions. At all times we seek to deliver positive policy outcomes - on Bovine TB, disease surveillance and animal Welfare amongst others - at a time when those issues are as challenging as they’ve ever been, and at a time of unprecedented cuts in government spending. The report we have tabled describes the start we’ve made on these and other issues and our proposed priorities for the year ahead. It highlights the policy advice we have submitted to Ministers, but it also highlights the extensive list of issues we have discussed and the presentations we have received. It will be no surprise to this audience that we have focussed on developing a TB Strategy. Whilst many areas of Animal Health and Welfare are important that disease and the strategy for its eradication have been and will remain a priority for this Board. To that end the TB workshops, the wider conversation with stakeholders that we initiated and participated in, have helped to generate a range of constructive ideas. It also demonstrated how we can and will engage with stakeholders in the future. The Board has also had significant input into developing the animal health and welfare related business plan. These are just two examples of how the Board has inputted into the development of policy. But the biggest difference of all, is that we are here today to present a report to you and to answer some of your questions. It’s not only the Board though that has changed the landscape, I’ve also been impressed with and grateful for the ways in which sector interests have developed strong relationships with the Board and, in some instances, reinvigorated how they organise themselves to help tackle our shared challenges. The relationships across sectors, the veterinary profession, government, retailers and consumers are absolutely critical in supporting us deliver fit for purpose policy solutions on animal health and welfare and their importance is a central theme underpinning the Board’s creation. The Board doesn’t have a monopoly on finding smart solutions to the challenges we face and we need to tap in to the expertise and ideas out there. We’ll be inviting you later to help us identify how best to do that. A report that looks back is just one part of the story, within this report are the areas we expect to prioritise in the year ahead. For example, we need to continue to draw together a strategic package responding to the challenge of TB, resolving livestock movement controls, disease compensation and we’ll also need to prepare for the forthcoming negotiations on the new EU Animal Health Law. This and much more will occupy our next year. I do not want to dwell on the state of the public finances. You can listen to the radio, open a paper or recall the budget, all have a common theme. 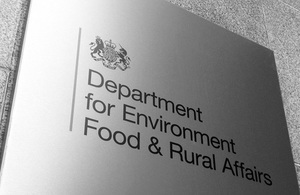 In Departments such as Defra the pressure is on for a continued reduction in spending. Within Defra AH&W is a Ministerial priority. However that does not exclude us from the current round of cuts, nor will it exclude us in the future. We are facing unprecedented and continued saving targets. Part of the Board’s task is to continue to work with officials and industry interests to unearth harness and implement innovative, new and smarter ways of working, delivering our shared objectives, supporting responsibility wherever possible, all within the available but ever diminishing budget. Let there be no mistake, this will dominate the next few years of work and thinking but, I believe that by working together this is an opportunity for us to make changes, which we hope will be for the better. However, back to this year! Throughout this year I have been ably supported by our Board members, non-executive and executive alike, our secretariat and above all the many stakeholders in this room who have worked with us over the last year.